Fully updated to reflect current assessment tools, procedures and research, the second edition of the award-winning book, A Best Practice Guide to Assessment and Intervention for Autism and Asperger Syndrome in Schools provides a practical and scientifically-based approach to identifying, assessing, and treating children and adolescents with an Autism Spectrum Disorder (ASD) in school settings. 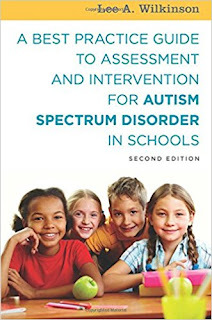 Integrating current research evidence with theory and best practice, each chapter features a consolidated and integrative description of best practice assessment and intervention approaches for children and youth with ASD. It brings the topics of assessment and intervention together in a single authoritative resource guide consistent with recent advances in evidence-based practice. Illustrative case examples, glossary of terms, and helpful checklists and forms make this the definitive resource for identifying and implementing interventions for school-age children and youth with ASD. A Best Practice Guide to Assessment & Intervention for Autism Spectrum Disorder in Schools (2nd Edition) was selected as an Award Finalist in the "Education/Academic" category of the 2017 Best Book Awards. A Best practice Guide to Assessment and Intervention for Autism Spectrum Disorder in Schools (2nd Edition) is available from Jessica Kingsley Publishers, Amazon.com, Barnes & Noble, Books-A-Million, Target.com, Walmart.com, Book Depository, and other booksellers. The book is available in both print and eBook formats. Lee A. Wilkinson, PhD, NCSP is a licensed and nationally certified school psychologist, registered psychologist, and certified cognitive-behavioral therapist. 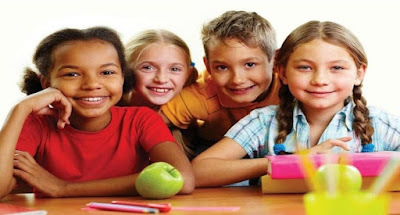 He provides consultation services and best practice guidance to school systems, agencies, advocacy groups, and professionals on a wide variety of topics related to children and youth with autism spectrum disorder. He is also a university educator and school psychology trainer. His research and professional writing has focused primarily on behavioral consultation and therapy, and evidence-based practice in assessment and intervention for autism spectrum disorder. He has published numerous journal articles on these subjects both in the US and internationally. Dr. Wilkinson is author of the award-winning books, A Best Practice Guide to Assessment and Intervention for Autism and Asperger Syndrome in Schools and Overcoming Anxiety and Depression on the Autism Spectrum: A Self-Help Guide Using CBT. He is also editor of a best-selling text in the APA School Psychology Book Series, Autism Spectrum Disorder in Children and Adolescents: Evidence-Based Assessment and Intervention in Schools.